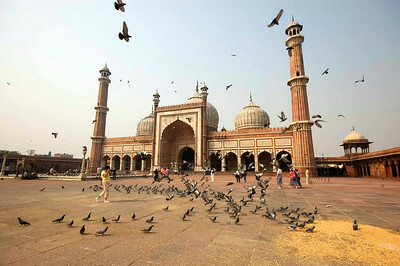 Jama Masjid Mosque, Old Delhi. 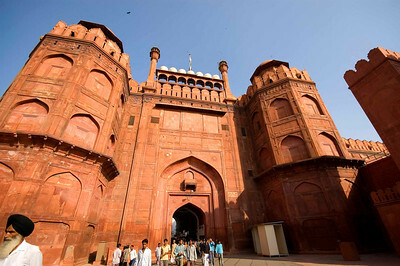 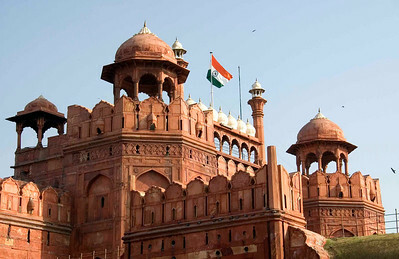 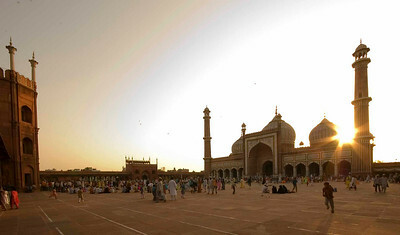 Sunset at Jama Masjid mosque. 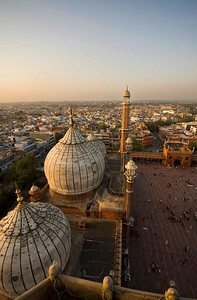 Sunset on the domes of the mosque from top of the minaret. 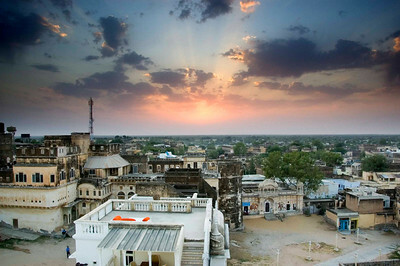 Sunset from the top of Mandawa fort. 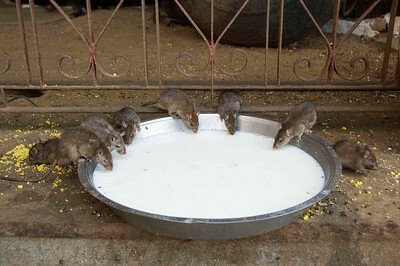 Ladies in the Rat Temple. 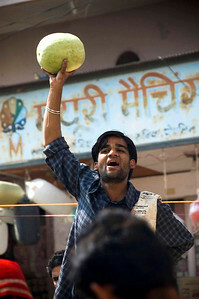 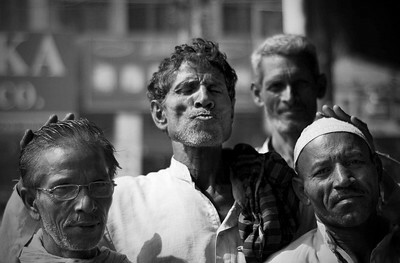 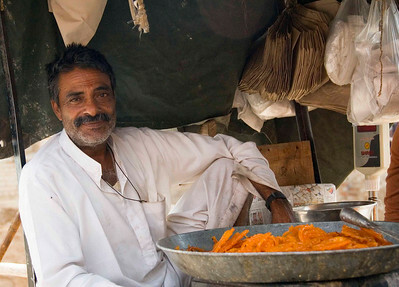 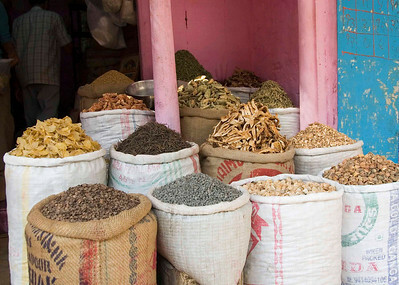 The traders in the vegetable bazaar stand on tables and roar out prices, trying to outbid each other. 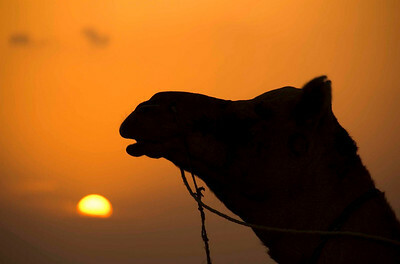 Sunrise in the Thar desert. 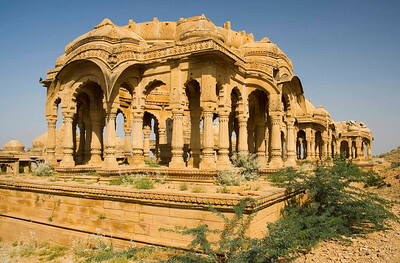 Maharajas cenotaphs (tombs) outside Jaisalmer. 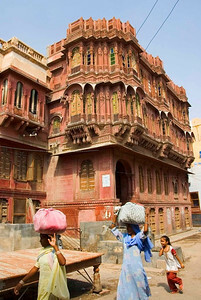 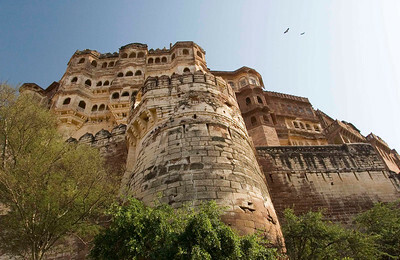 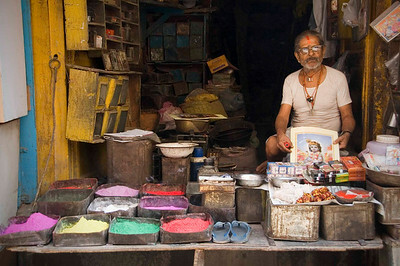 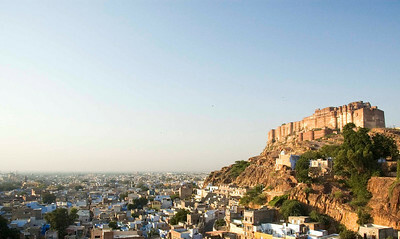 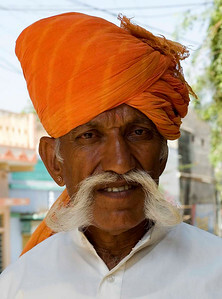 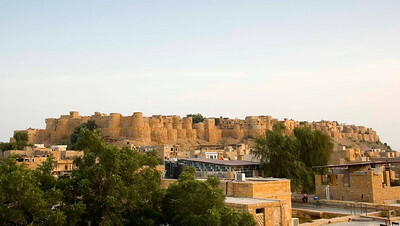 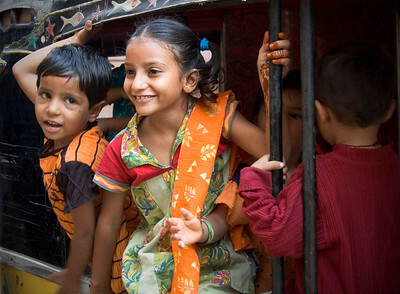 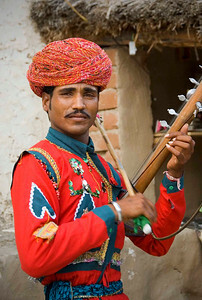 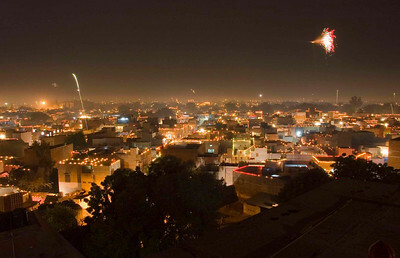 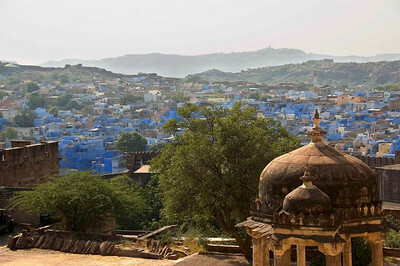 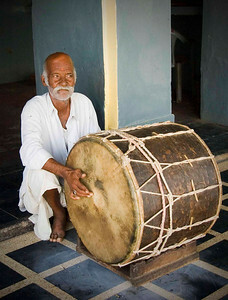 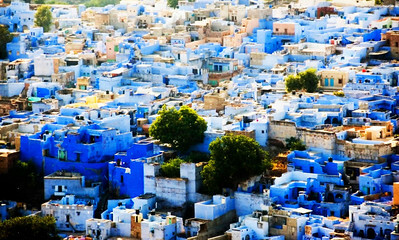 Jaisalmer - the Golden City. 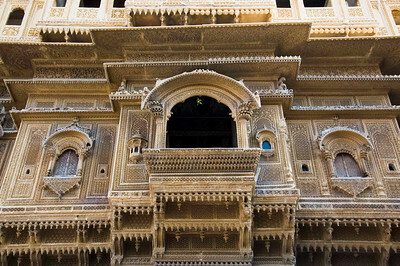 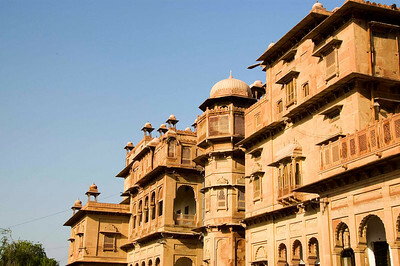 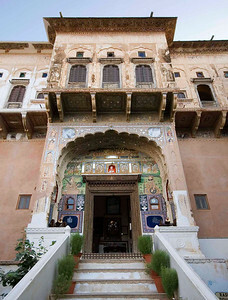 Haveli made out of intricately carved sandstone. 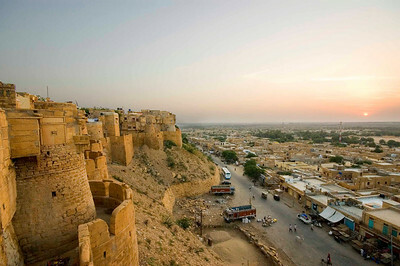 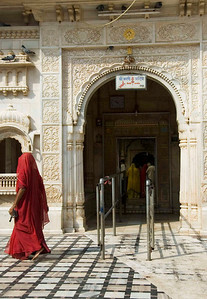 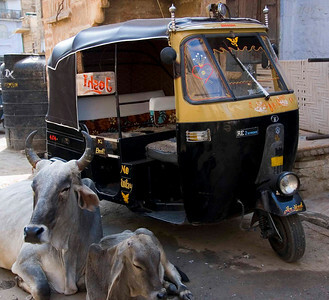 Jaisalmer is over-run with sacred cows. 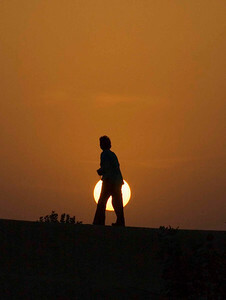 Sunset from the ramparts of the fort.